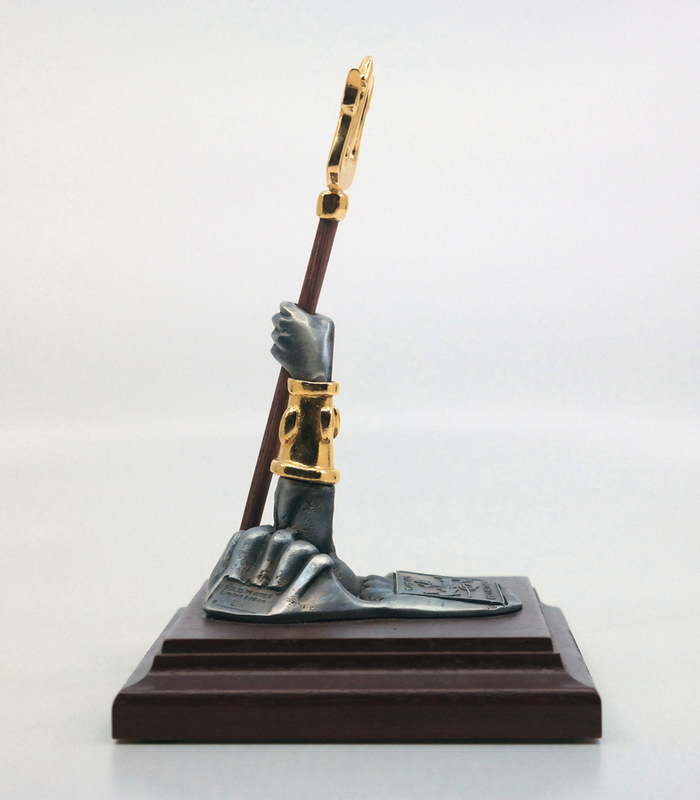 This is a limited edition statue inspired by the Walt Disney animated feature, The Little Mermaid. 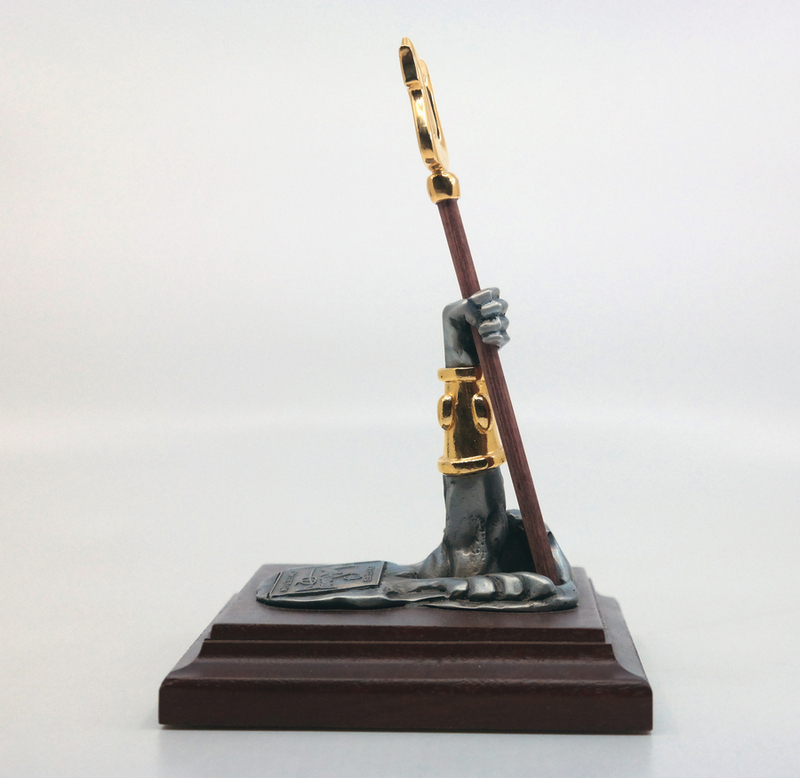 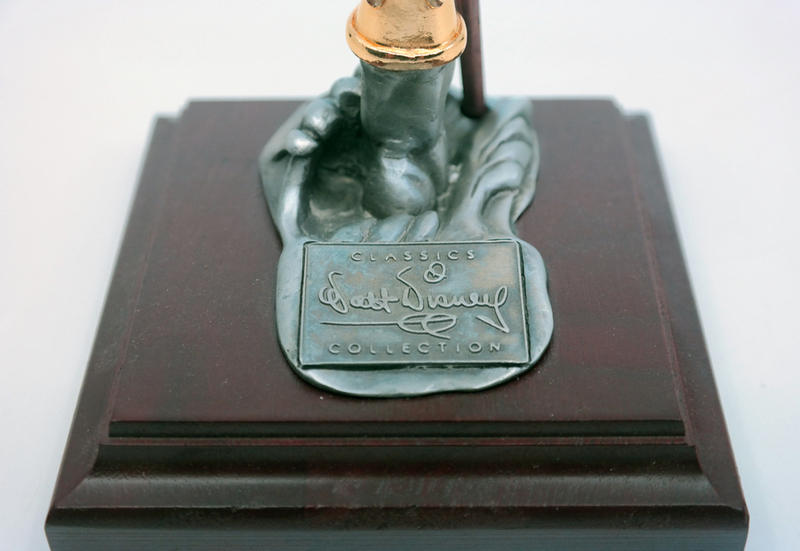 The sculpture was produced as a promotional limited edition by Walt Disney Classic Collections in the 1990s. 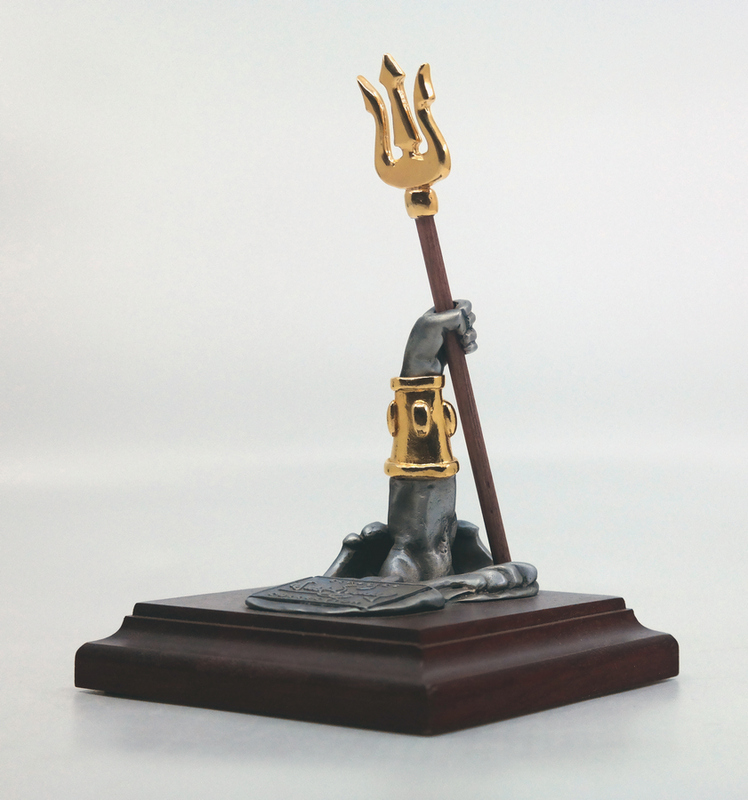 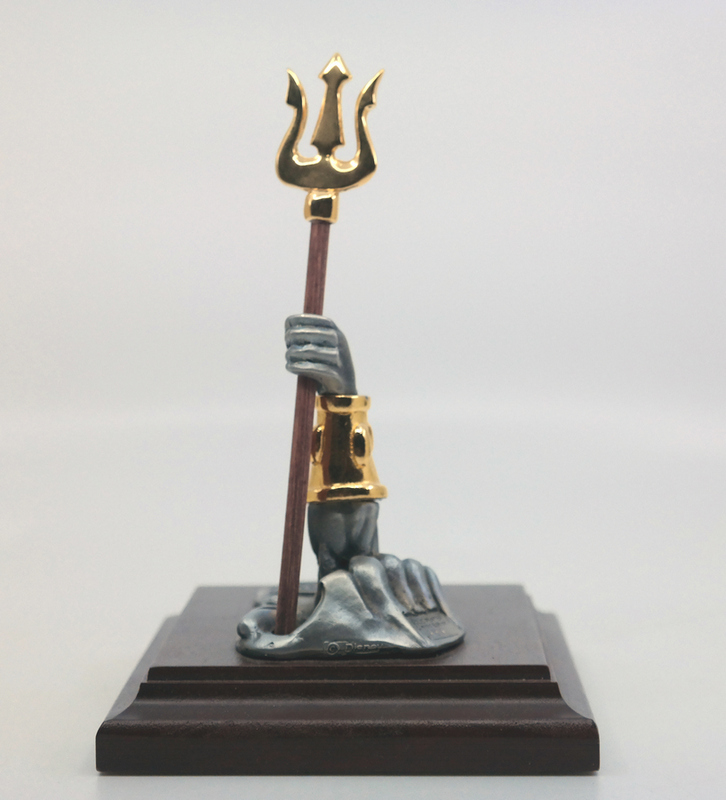 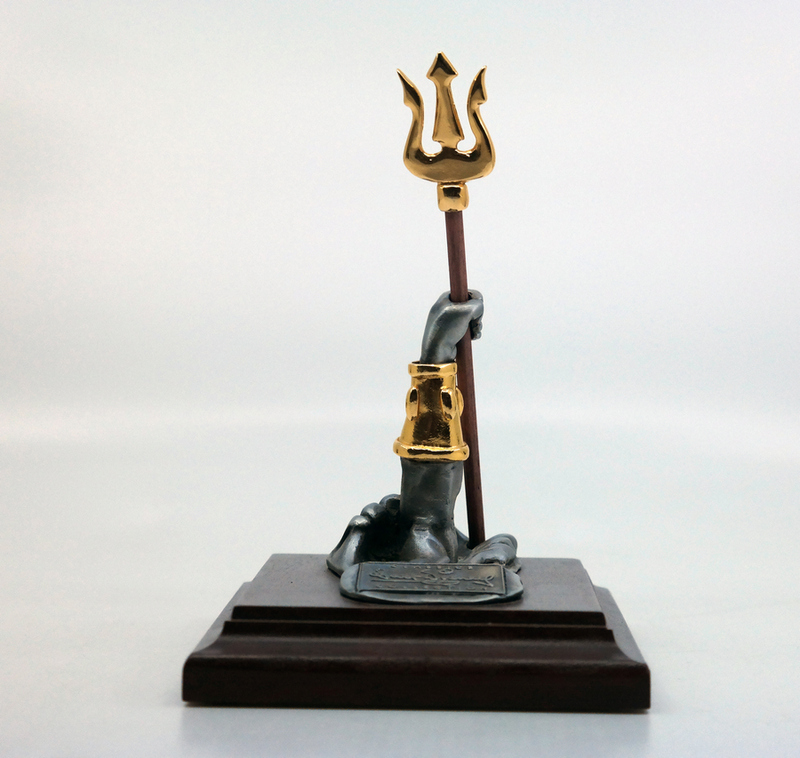 The sculpture measures 4" x 4" x 6" and features a pewter cast of Triton's arm breaching the ocean's surface with his trident in hand. 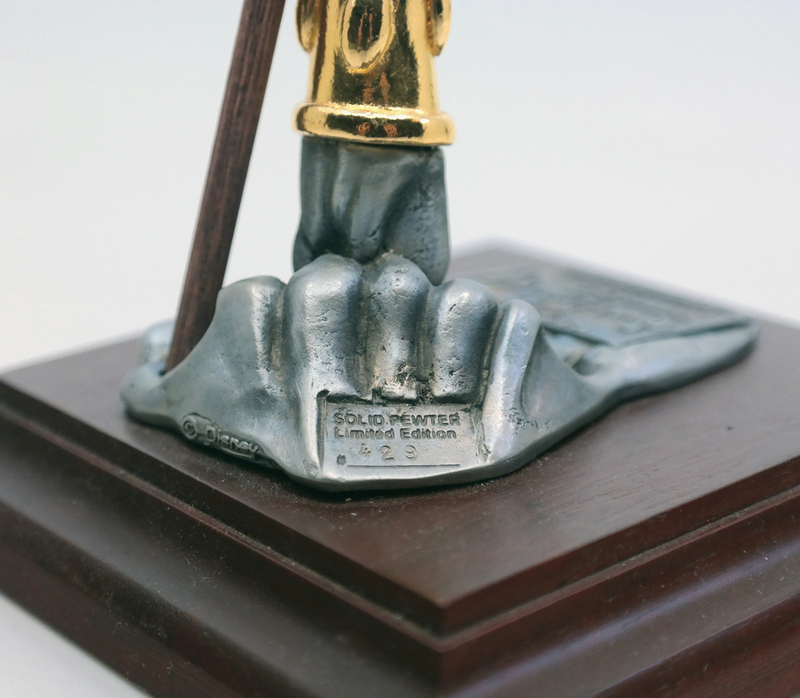 The pewter element is attached to the wood base and also has a WDCC logo with the edition number present stamped into the back side of the pewter.